Attorneys for Casino Pier and Samuel Tilles, owner of the former Sand Castle building on the Seaside Heights boardwalk, were at borough hall this week, where a dispute over land use spilled into a borough council meeting. Tilles, who also owns Jimbo’s Bar and Grill, plans on rebuilding the Sand Castle site, which was destroyed during Superstorm Sandy, along with kiosks in the middle of the boardwalk between his businesses, located at Grant Avenue. Tilles and Seaside Heights were involved in litigation over the zoning of the site as well as where municipally-owned land was located. 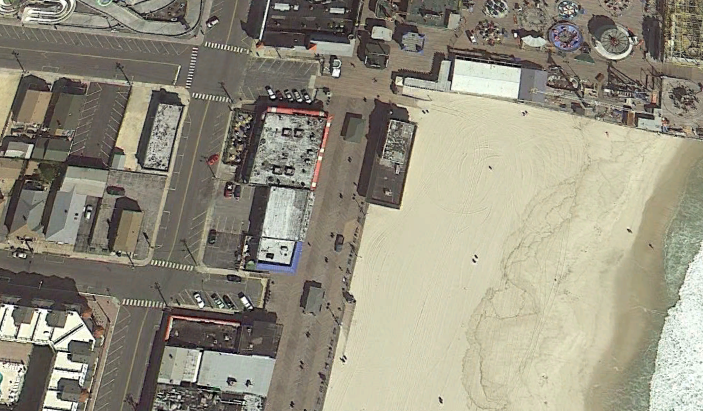 The Sand Castle building – destroyed in Superstorm Sandy – had no zoning at all, but has now been rezoned to become part of the borough’s Resort Recreational Zone. 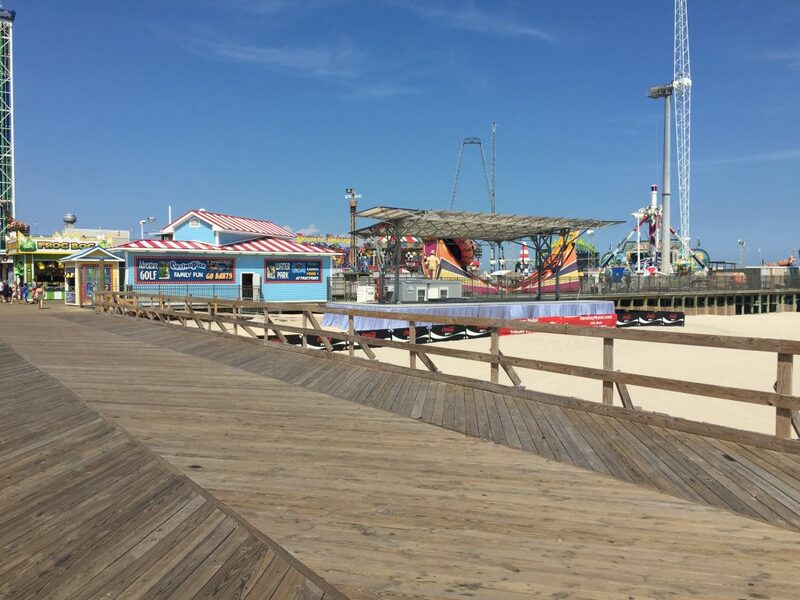 Tilles was later sued by Casino Pier, which sought to prevent him from reopening boardwalk kiosks in the area, according to officials, presumably because they could distract tourists from the pier entrance. Casino Pier won the suit on a technicality, which the borough is seeking to remedy with an ordinance outlining property lines. Casino Pier, however, may have an ace in the hole that is more than a century old. Ron Gasiorowski, the attorney representing Casino Pier, notified the borough this week that a deed from 1911 may preclude Tilles from building the boardwalk kiosks. “What he’s saying is that when the properties were carved out by Manhasset Realty in the early 1900s, there was a deed restriction saying that you can’t building anything there,” said Borough Administrator Christopher Vaz, referring to the tax lots where the kiosks would be built. Terry Brady, conflict attorney for the borough, said in a letter to officials that the claim could call into question the fundamentals of the settlement between the town and Tilles. Robert Shea, an attorney for Tilles, brushed aside the new revelation of the 1911 deed. The borough council put off a vote on an ordinance that would have confirmed the lot lines that, conceivably grant Tilles permission to build the kiosks. “It opens up some issues we’re stuck with,” Vaz said.